Two Angle Wrooklyn T Shirt Black - Urban men's clothing & apparel at Electrowear. This is a unique graphic print T Shirt by clothing brand Two Angle. 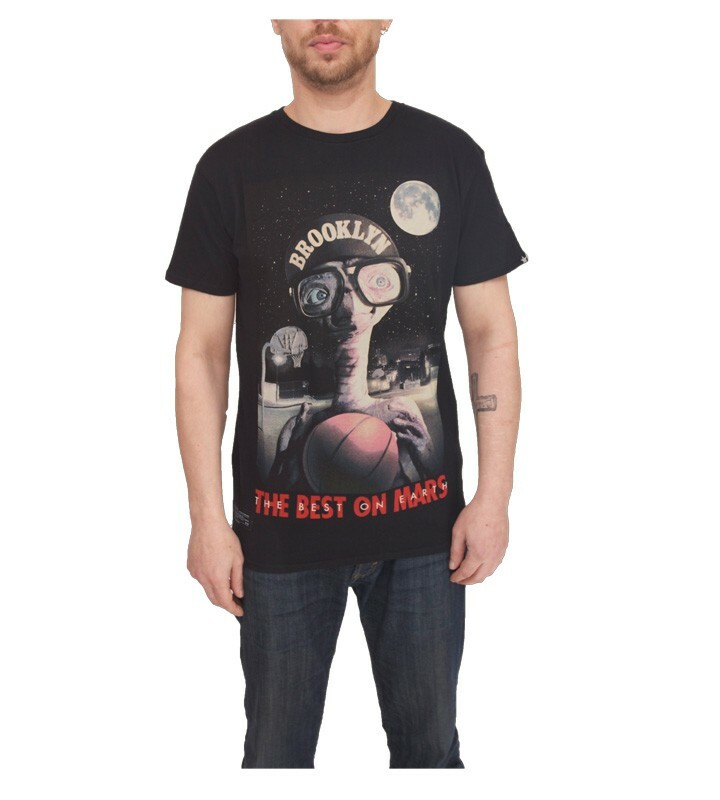 This Tee comes with a cool graphic print of 'E.T' having a game of basket ball' quoting the words ' The best of Mars' on the front of the chest with the Two Angle logo on the sleeve & branding logo on the bottom trim. This T Shirt is made from 100% cotton, machine wash at 40C with like colours.